Lawyers Rights Watch Canada (LRWC) is a committee of lawyers and other human rights defenders who promote human rights and the rule of law internationally through advocacy, research and education. LRCW has Special Consultative status with the Economic Social Council of the United Nations. I am writing, as a member of LRWC, in response to information obtained from the International Association of People’s Lawyers (IAPL) and a report published by Human Rights Watch indicating that Mr. Ezzat Ghoneim, human rights defender and lawyer and head of the Egyptian Coordination for Rights and Freedoms, is being subjected to illegitimate and arbitrary detention (enforced disappearance). Mr. Ghoneim has been detained since 1 March 2018, on charges of membership in an unlawful organization. On 4 September 2018 a court ordered his release, pending investigations into his case. Despite this court order, Mr. Ghoneim was last seen on 13 September, in custody at a police station in the south of Cairo. One day later, on 14 September, when his family went to visit him, police officers at the station informed them that he had already been released. Nonetheless, his family still doesn’t know anything about his whereabouts nor about the condition he’s finding himself in, as he has failed to surface. When Mr. Ghoneim was still in custody at the said station, officers there told his family members that they were waiting for the National Security Agency (NSA) to approve of his release. In addition, after his alleged release, they were told by an officer – through informal channels – that he is currently in NSA custody. A strong suspicion has therefore arisen that Mr. Ghoneim is being illegally detained by the NSA. In this regard, Amnesty International has expressed the concern that “Mr. Ghoneim has been forcibly disappeared and that he is at great risk of torture”, a concern that LRWC shares as well. Even more so, because a pattern of systemic torture of detainees in secret NSA detention centres and police stations has been documented. Now, because Mr. Ghoneim has remained forcibly disappeared, he has not been able to adhere to the terms of his release. 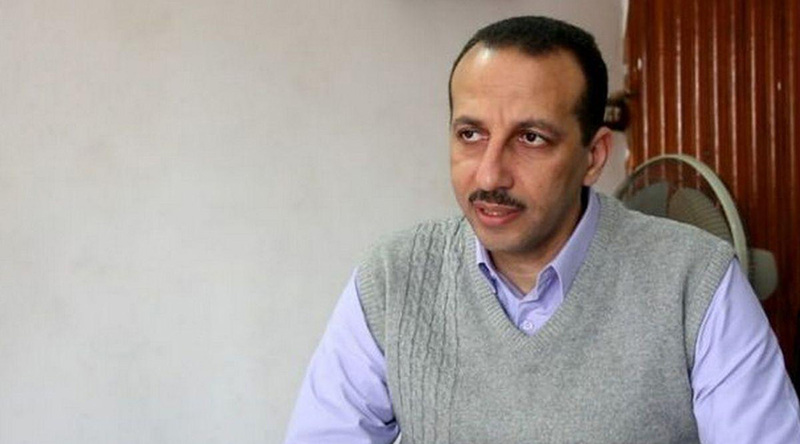 As a consequence, his re-arrest is prompted for violating release orders, making Mr. Ghoneim’s case even more pressing. LRWC is seeking the immediate and unconditional release of Mr. Ezzat Ghoneim. Under international law there exists an absolute prohibition concerning enforced disappearances, meaning that this prohibition stands effective under any and all circumstances. In addition, enforced disappearances violate a whole spectrum of human rights obligations. Egypt has ratified both the International Covenant on Civil and Political Rights (ICCPR) and the Convention against Torture and therefore remains obliged to investigate, prosecute, punish, provide remedies and reparation for the crimes of torture, ill-treatment and enforced disappearances. Moreover, arbitrary arrest and detention without charge are violations of the right to liberty and security of the person set out in Article 9 of the ICCPR which states that no one is to be subjected to arbitrary arrest or detention. Widespread and systematic enforced disappearance of civilians, can in some circumstances, also constitute a crime against humanity. LRWC considers arbitrary arrests and detentions of human rights defenders and others, as an alarming signal of very serious violation of Egypt’s international law obligations to respect and ensure the enjoyment by all of fundamental rights and freedoms guaranteed by the ICCPR, the Universal Declaration of Human Rights and other instruments. Please advise LRWC by mail, e-mail or fax of the actions that is taking to comply with its international human rights law obligations and with the above noted requests for remedial action. “Egypt: Ezzat Ghoneim Arrested” via https://defendlawyers.wordpress.com/2018/11/03/egypt-ezzat-ghoneim-arrested/ last seen on 6 November 2018. “Egypt: Enforced Disappearance of Prominent Rights Defender” via https://www.hrw.org/news/2018/10/03/egypt-enforced-disappearance-prominent-rights-defender, last seen on 5 November 2018. Amnesty International, 1st update on Urgent Action: 69/18 Index: MDE 12/9147/2018 Egypt; 21 September 2018. “We Do Unreasonable Things Here: Torture and National Security in al-Sisi’s Egypt”, Human Rights Watch Report, 5 September 2017, available via https://www.hrw.org/report/2017/09/05/we-do-unreasonable-things-here/torture-and-national-security-al-sisis-egypt.